Fashion columnist Fatimas Sugapong is back with a new edition of her weekly fashion blog. This time, she’s looking for breezy on-the-go outfits. Mills Body Positivity Group founder Kendall Anderson points out the hypocrisy, fat shaming and negative body image in fashion. Fashion Columnist Fatima Sugapong spotlights the maxi outfits worn by fellow students in her last style post for the semester. With Denim Day as her inspiration, Fashion Columnist Fatima Sugapong went out to look for unique denim pieces at Adams Plaza. Fashion columnist Fatima Sugapong found a cute mix of bright colors and toned-down classics worn by Mills students during a breezy Wednesday. FASHION | Sunnies and Prints! Fashion columnist Fatima Sugapong spotted her favorite sunnies, colors and prints worn by fellow students on an especially hot school day. FASHION | Outfits of the Week: Spring is Here! 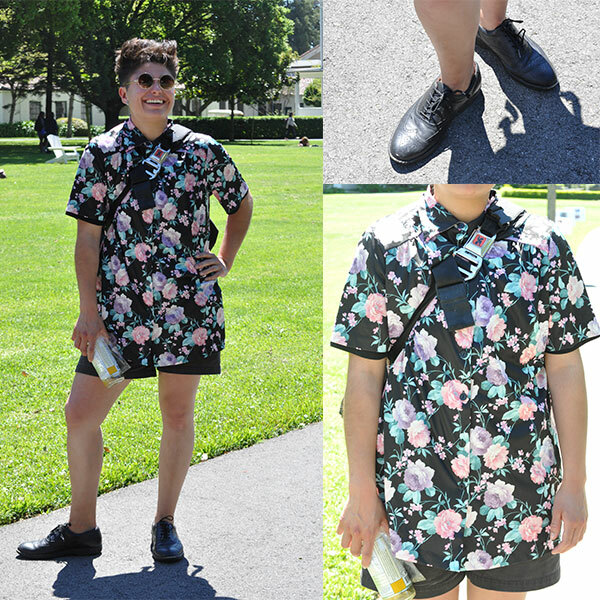 Fashion columnist Fatima Sugapong scoped out three floral-print outfits worn by Mills students for this week’s spring-themed post.